Come here to get help with your research. The library is built on a hill, so unlike most buildings, you enter on the 4th floor, and then there are three floors below you. 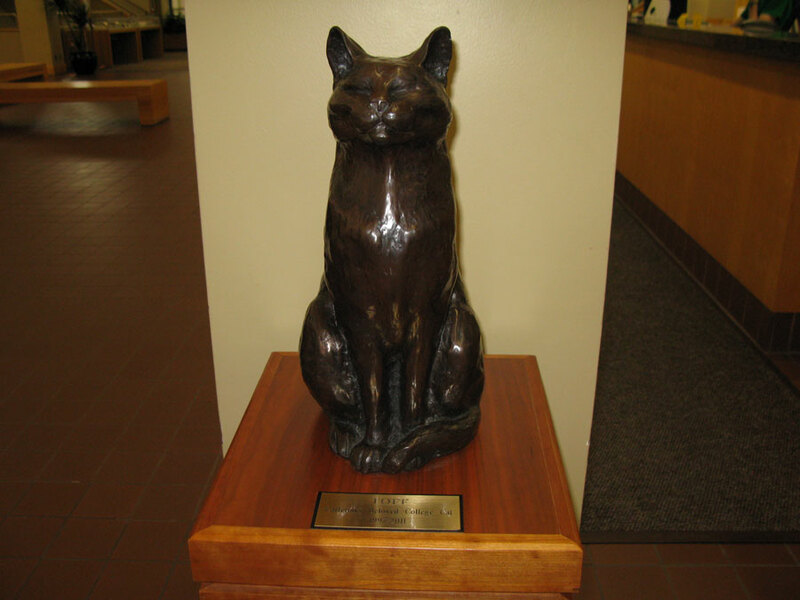 The statue that greets you by the door is the beloved cat Toff who roamed the campus for many years and passed away recently. The libe made a statue to honor the cat. It is a tradition of many students to rub the cat's head as they enter the library. 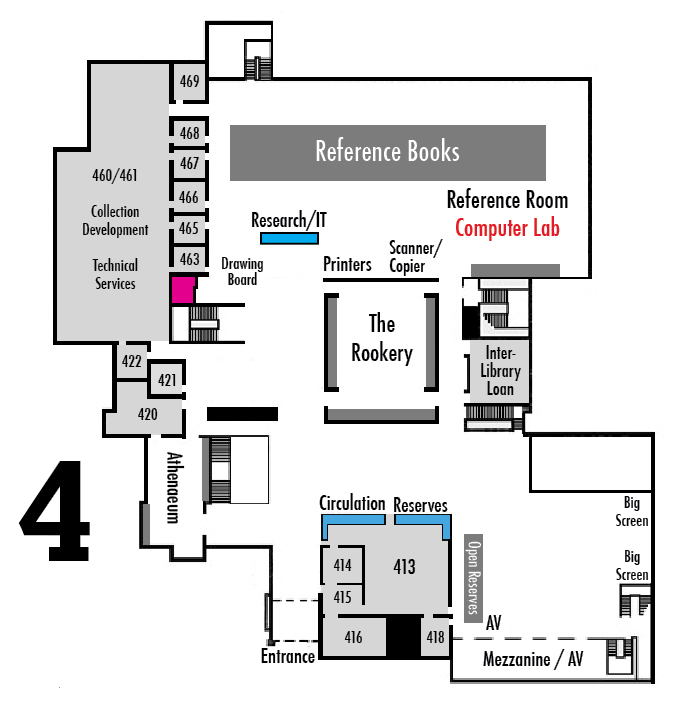 The restroom on this floor is gender neutral and handicap-accessible and is located where the original Rookery used to be, near the Research/IT desk. 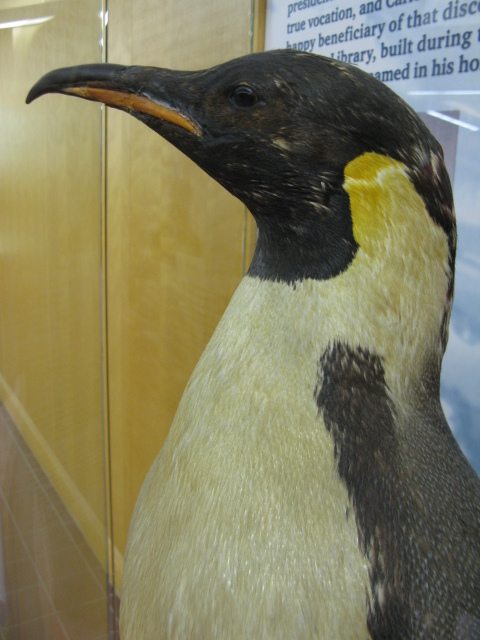 The penguin outside the Rookery is known as Oscar. He was given to the library in honor of former president and library namesake Laurence McKinley Gould. Apart from being a president of the college, Gould was an arctic explorer. 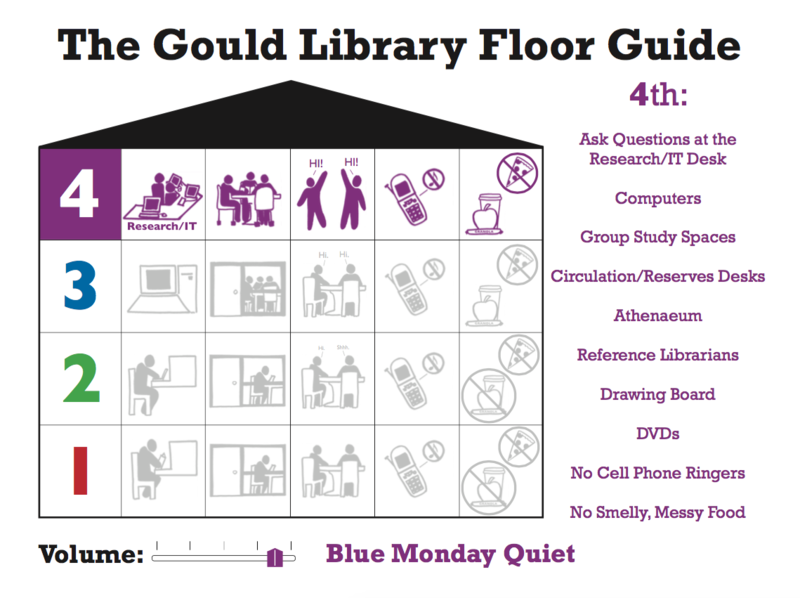 To see more about Gould, take a look at the cabinet inside the Rookery.